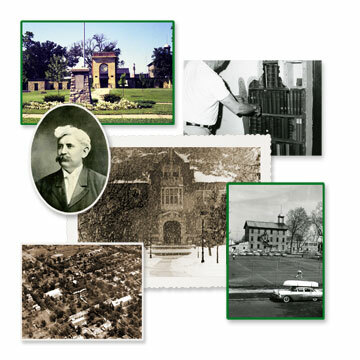 Images in this collection are from photographs located in the University Archives and illustrate some of the growth and changes to Illinois Wesleyan University since its founding in 1850. These primary sources reflect the attitudes, perspectives, and beliefs of different times and should be considered records of the era in which they were produced. Background information for many of the photographs (approximate dates, people&apos;s names, etc.) is missing. We would appreciate hearing from you if you have comments about them; please contact us at archives@iwu.edu.